SocialCops partnered with the Tata Trusts and Government of Maharashtra to drive rapid development in Chandrapur. We used our platform to create village development plans that will improve budgeting, program implementation, and department planning. Chandrapur has vast natural resources, yet it remains underdeveloped. However, a traditional development plan can't account for the sheer diversity of Chandrapur's blocks. Chandrapur needs targeted development plans for every household, village, and block. This type of microplanning generally takes 6-9 months, but we only had 90 days. 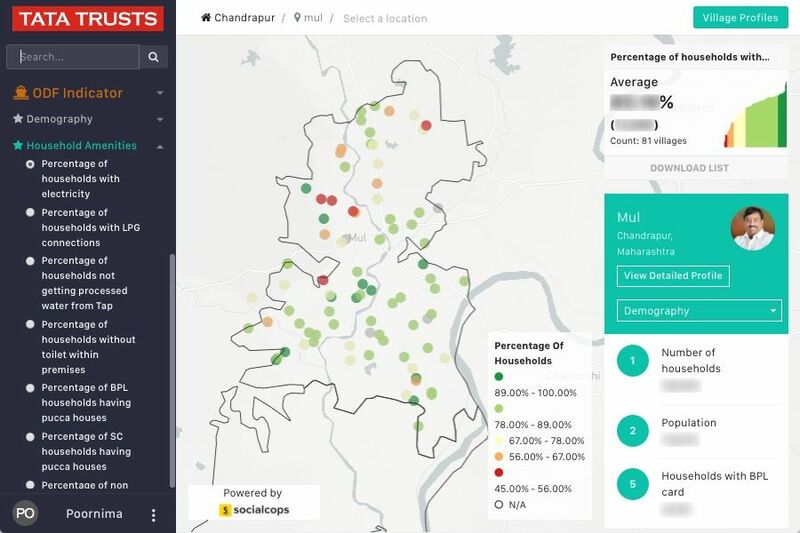 To make matters more difficult, there were 3 additional problems: Chandrapur has poor infrastructure and connectivity (people have to walk kilometers to find cell service), only 5% of its population is computer literate, and its village lists are not accurate or up to date. When you have numbers, figures and data in front of you, you stop shooting in the dark. The Tata Trusts and local governments partnered with SocialCops to help district and block officials create microtargeted village development plans in Chandrapur. Our platform was deployed to create a comprehensive household-level data set for 290 villages and use it to draw quick, meaningful insights for government officials. Our mobile data collection app was used to collect and map data for each household and each village’s infrastructure, healthcare facilities, schools, and more. Each of the baseline surveys ranged from 150 to 200 questions. We also helped to conceptualize, create, and pilot these baseline surveys. On average, 3,000 survey responses came in from the field every day, resulting in a total of 6.9 million data points. This data was flagged, cleaned, verified, and structured to build household and village profiles and assess development indices. The transformed data was visualized in an interactive dashboard with geoclustering, village-level comparisons, household-level views, village profiles, and intelligent querying tools. 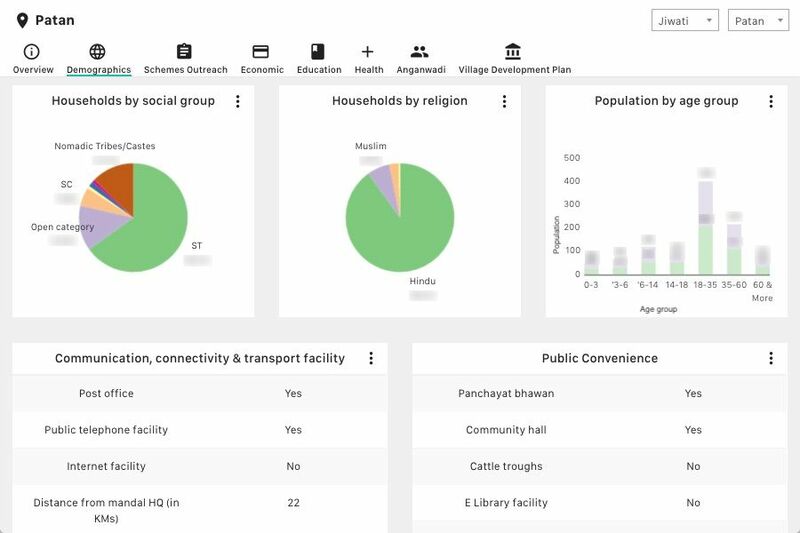 The dashboards also created automated village development plans to help decision makers. One important player in creating a data-centric culture in government is the technology partner. That's the role SocialCops has been playing, and it's a relationship we value a lot. 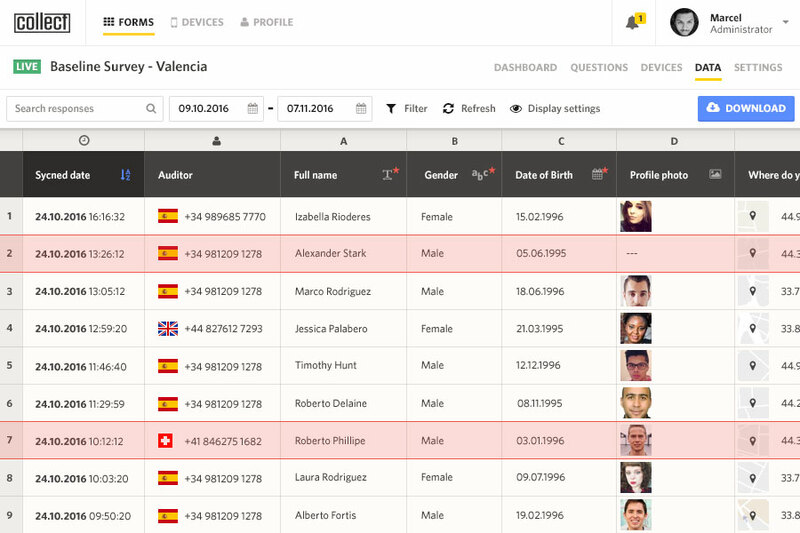 Our data scientists created custom surveys for each village's dialect and demography, plus built-in data validations. We trained 50 facilitators and 900 volunteers, followed by 7 days of piloting and 4 rounds of questionnaire iteration. Volunteers collected 150 data points from every household in Chandrapur, surveying 160,900 people in just 90 days. 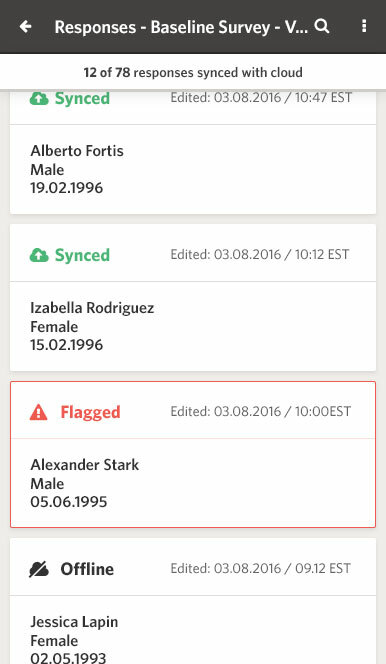 As data was collected, it was automatically verified and bad data was flagged for re-collection. Our data scientists processed, cleaned, and analyzed all the data to create village scorecards. Data was visualized on an interactive dashboard with village development plans, profiles, and more. Many parts of Chandrapur do not have mobile or internet service. Data was continuously saved to tablets’ local storage, then synced to central servers when internet was available. Every household was geotagged on a map using GPS, even without internet. Surveyors also used Collect to map health centers, schools, and village infrastructure on a satellite map. 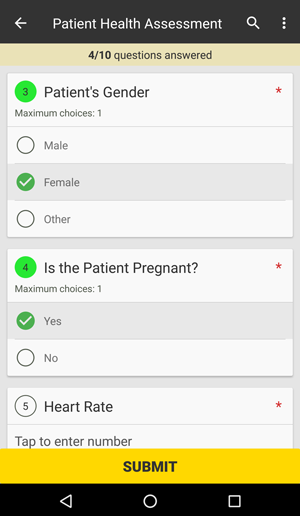 Every survey was automatically customized with the most relevant questions for the person being surveyed. This saved crucial time on every survey. Many surveyors only spoke Marathi. The entire Collect app — including action buttons and instructions — could be converted to Marathi by simply changing the language setting. As data was collected, it was automatically verified on Transform. Any data point that fell outside of pre-set parameters or was inconsistent was automatically flagged on Collect. Then surveyors can immediately return to check and re-collect that data point in the field. Includes intra-variable (checking each variable for incorrect values) and inter-variable checks (ensuring that data is consistent across variables). 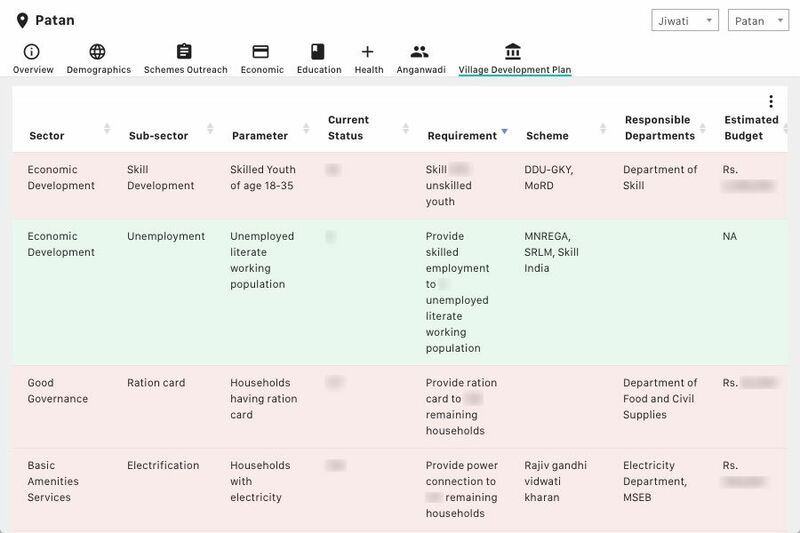 Data was aggregated to score the development of each village, based on various individual, economic, health, and infrastructure development indicators. By matching eligibility data for each scheme with each person's data, Transform determined when people were not using schemes that they were eligible for. Government officials could compare 80 demographic, economic, health, and infrastructure data for each block. Mapping made it easy to find hidden patterns, trends and insights that can be leveraged for better development plans. Village development plans — with the priority and cost of each intervention — helped decision makers plan budgets effectively. All the data — healthcare, education, infrastructure, and more — that officials need was available through interactive charts. There were times when we didn't have internet, didn't have network, and were in the remotest villages, but we still collected data for each and every household. The 290 village development plans created through this deployment are already being used by government officials at all levels to improve their budget and policy decisions to drive rapid, effective development in Chandrapur. 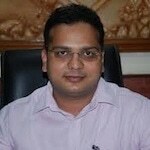 The village development plans were sent to Gram Panchayat heads for all 290 villages. The Block Development Officer of Mul added 60% of the plans' suggestions to his 2016-17 budget. The Guardian Minister adopted 18 villages and will use our plans to transform these villages into model villages. 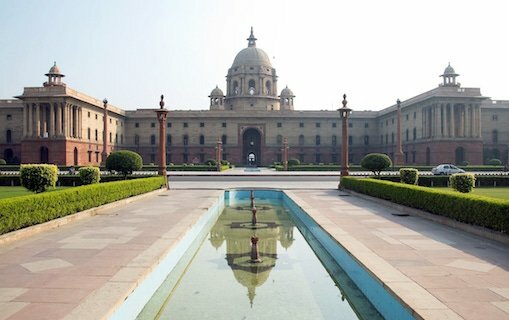 Government officers across all departments are using this data to better target their programs and policies. 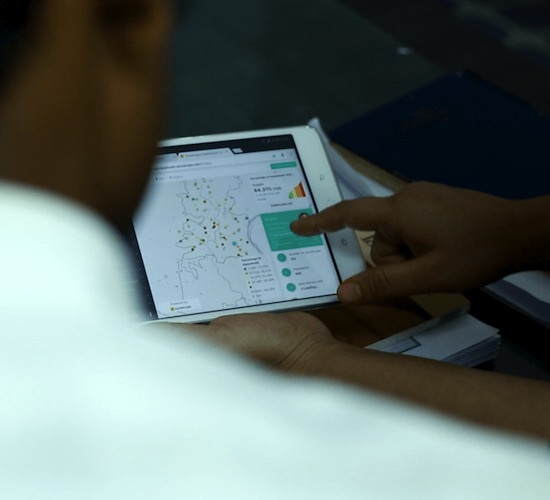 For example, the Electricity Department is using the dashboard to find which households currently aren't receiving electricity, and the Forest Department is using the dashboard to preserve forest areas by finding the households that are most likely to burn wood (ones near forest areas that don't have an LPG connection). 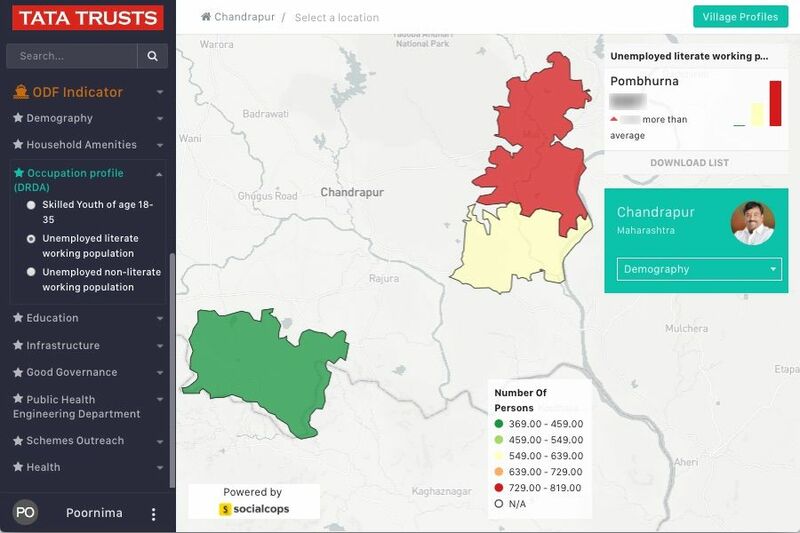 The District Collector of Chandrapur is using our dashboard to verify claims from his department officials in real time and to cross-check villagers’ development priorities against priorities from village development plans during his field visits. This helps him eliminate false reports or less important complaints and focus on the most important issues in each village. This project helped the district administration understand the socioeconomic dynamics and development challenges of each village by creating a robust village requirement sheet for each and every village in Mul, Pomburna and Jiwati. Use data intelligence to make better decisions at any level of government. Want more information? Check out Slideshare for more details and the full story behind this case study.